FTC disclaimer: This is a sponsored post by U.S. Cellular. 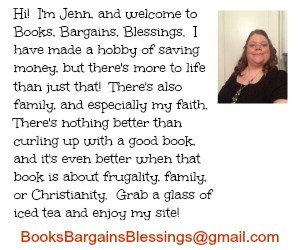 I am part of their blogger team, and I only recommend items and services I use myself. ’Tis the Season . . . To Instagram the hot cocoa that your grandmother makes with real chocolate. To Tweet a photo of Uncle Ed’s crazy Christmas Sweater. To upload a Vine video of your little nephew opening his gift and jumping with joy. Most people often think of keeping in touch with loved ones at the holidays by using the traditional methods — a Christmas card sent through snail mail with a long letter highlighting every achievement of the past year. But your holiday greetings to friends and family can be done at a much less expensive way than buying stamps to send a greeting to everyone you know. Instagram is an app that is easy to download on your U.S. Cellular Smart phone. With it you can upload photos and videos to share on Instagram and can with a touch of a button also share those on Twitter and Facebook. There’s nothing as sweet as finding your child asleep under the tree and being able to share that with everyone while he is still dreaming of what Santa is going to bring him. Vine is an app that allows you to share six second videos. In this busy world where we are always on the go, this is an easy way to help you stay in touch and share your family’s Better Moments with loved ones near and far. 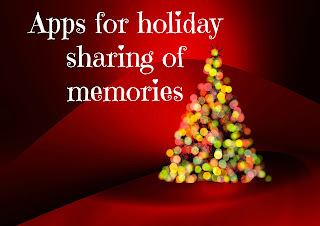 You could also forgo the traditional card and gather your family on Christmas morning, still in pajamas and send out a “Merry Christmas” message to everyone you are connected with online by tagging them. Because U.S. Cellular has a high speed NATIONWIDE network, it doesn’t matter if you are home or at Grandma’s, you can share those special moments with those who can’t be at your celebration. Even before then, you can show holiday preparations. Tree trimming. Show the house in stages of decorations — even with time lapse photography. As you are preparing your famous recipe for fudge, document it — and you can even show step by step directions so your followers can make it themselves. Imagine being the star of your own cooking show for your family! Don’t forget to follow hashtags on Vine and Instagram for special promotions. Last Christmas I found one where I was trying to win some plane tickets. While I didn’t win, my friends loved my zany entries from my step by step directions of how I made peanut brittle, my guinea pigs dressed up as a Christmas carol, and my sweater that looked like Rudolph crashed into me! In addition to U.S. Cellular helping you stay in touch, there are plenty of gifts that are just right for almost everyone on your list! They even have a great gift guide to help you pick what you wish to give those on your list! If you are budget conscious, U.S. Cellular has gifts under $25 — and a number to choose from. You can get a case, skin, or shell for smart phones or tablets. Travel chargers are fantastic for anyone — and a perfect gift to get yourself. For under $50 you can get a U.S. Cellular Bluetooth Headset for that multi-tasker who is always on the go. For under $100 you can get the Griffin TC Monster Truck for the adventurer in your life. The controller has a virtual dashboard or you can tilt the device to steer it. 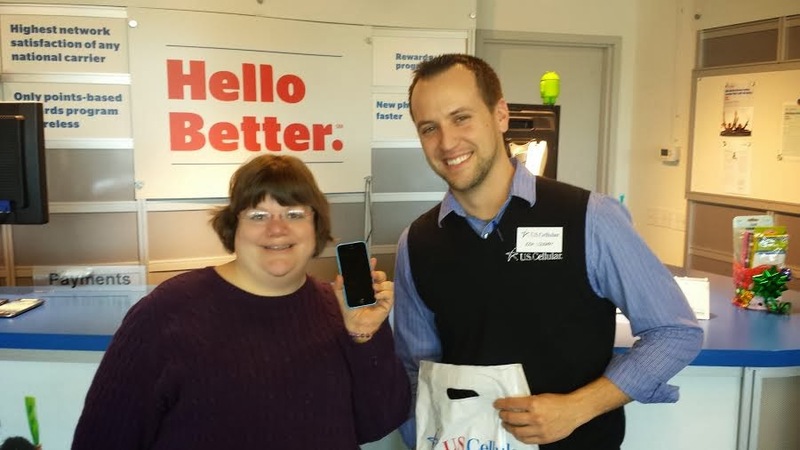 If you really want to play Santa, then let the elves at U.S. Cellular help you purchase an iPhone 5s or iPhone 5c. This is one of the hottest tech gifts this season as it is the most forward-thinking smartphone in the world. (Not to mention the most colorful!) FaceTime is a great way to keep in touch with friends and family via video chat — and fantastic because it can cross international lines if you have loved ones who happen to live overseas. (I’m hoping to FaceTime this holiday season with some friends who live in Russia.) The iPhone’s advanced iSight camera makes your holiday memories even more focused to remember forever. Also, keep in mind you can play Santa to yourself. In fact, today I upgraded my phone to the iPhone 5c by using Belief Points I had earned as part of my contract! You can click here to read more about the U.S. Cellular rewards points program. (This program was discontinued in 2014.) Here's a photo of me at U.S. Cellular with my phone and a friendly U.S. Cellular representative. May your holidays be happy as U.S. Cellular allows you to share your Better Moments with friends and family near and far!